Prime contracts typically contain a constructive change directive clause. A constructive change directive also goes by the acronym CCD (and for purposes of this article, such changes will be referred to as a CCD), however it can also be known as a Work Change Directive, Interim Directed Change, or Directed Change, depending on the type of contract beign utilized. An owner can order a CCD, versus issuing the contractor a formalized change order, as a mechanism to direct the prime contractor to perform work if there is a dispute as to contract amount, time, or scope. Just because an owner issues a CCD does not mean the owner is conceding that it owes the contractor a change order. Rather, the owner is ordering the CCD as a mechanism to keep the project moving forward notwithstanding a disagreement with the contractor as to the price or time impact. Standard form construction agreements such as the AIA, EJCDC, or ConsensusDocs, will have a standard provision dealing with change directives where the owner can order the contractor to proceed with work in the absence of a change order. In the federal government context, most construction contracts will contain a changes clause that authorizes the government to formally direct changes; and, there is authority for contractors to equitably pursue a constructive change based on certain directives or instructions issued by the government. Naturally, from the contractor’s perspective, this CCD provision is an important consideration as it could likely require the contractor to finance a change to the owner’s project, particularly if there is a scope dispute where the owner does not believe the contractor is entitled to any change order. An example in the federal government context can be found in the Armed Services Board of Contract Appeal’s decision in Appeal Of – Buck Town Contractors & Co., ASBCA No. 60939, 2018 WL 679564 (2018), dealing with the reconstruction of a hurricane protection levee. 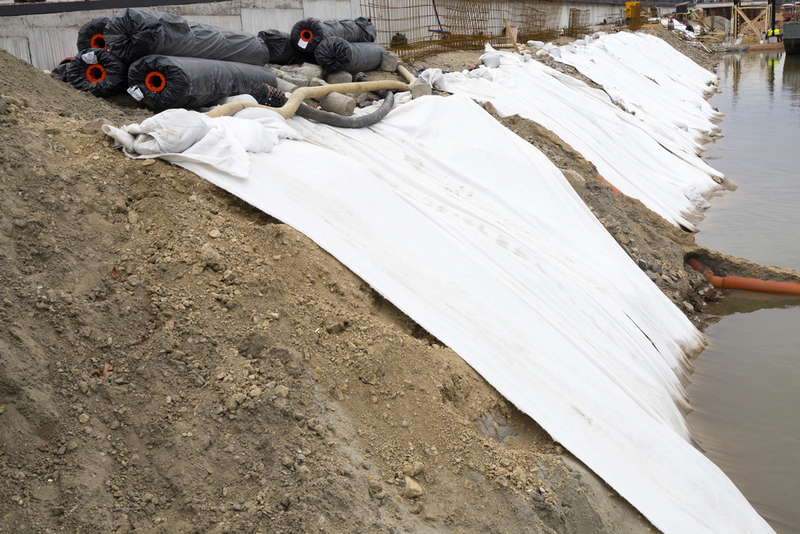 The prime contract required the contractor to place a layer of geotextile material at the base of the levee. The specifications required the material placed such that all seams and overlaps were installed perpendicular to the centerline of the levee. The contractor’s subcontractor, however, placed the geotextile material such that overlaps ran parallel (not perpendicular) to the centerline of the levee. The government objected to the method of the contractor’s placement of the geotextile material and directed the contractor to remedy the incorrect method (i.e., redo the incorrect work). The contractor interpreted this instruction or directive as a constructive change directive and submitted a Request for Equitable Adjustment (REA) associated with the directive claiming that it installed the geotextile material based on the interpretation of other provisions in the specifications. The government denied the REA and the contractor followed-up with a formal claim, which was also denied. The Armed Services Board of Contract Appeals ultimately held that the prime contractor was not being directed to perform additional work, or work contrary to the contract. The Board found that the contract required the contractor to place the geotextile material so that all seams and overlaps were perpendicular to the centerline of the levee, which necessarily prohibits the contractor from placing seams and overlaps parallel to the centerline. As a result, the directive for the contractor to redo work was not a constructive change that authorized the contractor to additional compensation. As mentioned above, the CCD provision is a valuable provision for owners in prime contracts to keep the project moving forward. Contractors need to consider this clause in conjunction with instructions and directives received from the owner during the course of construction that authorizes the contractor to perform claimed additional work as such work can have both a cost and time impact. If the requirements of the contract are changed and the contractor is directed to proceed with additional work, it is important that the contractor consider the directive in accordance with the provisions of its contract and preserve its rights and notify the owner accordingly. This entry was posted in Changes / Change Orders and tagged CCD, change directive, change order, constructive change, constructive change directive, work change directive by David Adelstein. Bookmark the permalink.